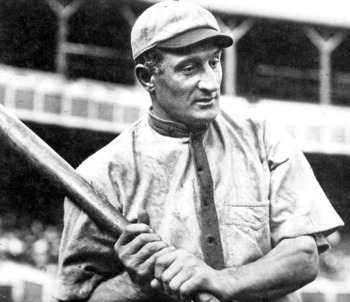 Uniform #33 has been retired by the Pirates in honor of Hall of Famer Honus Wagner. When I heard about this I put up my own mental “stop sign” and questioned how this could be, because back in Wagner’s time, ball players didn’t wear numbers. So, where did 33 come from? 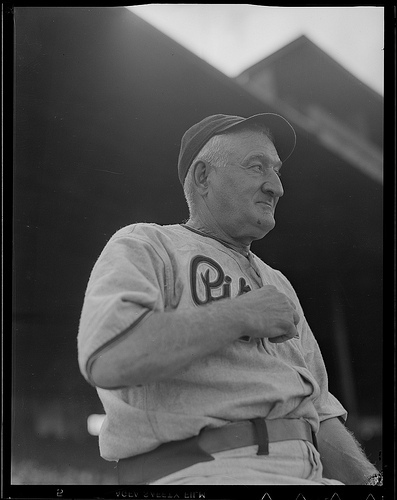 After converging on press row with Dave DeGrace, and some help from the Pirate Media Guide it became evident that the 33 comes from Wagner’s years as a coach when he coached between 1933 – 1951 and wore the number 33. Morneau made it easy and simply doubled it, and chose #66. I guess it is true, you learn something new everyday! This entry was posted in Baseball, sports and tagged Honus Wagner, Justin Morneau, Pittsburgh Pirates. Bookmark the permalink. morneau one of the class acts…..unlike our own peralta who plunked morneau tonight for no good reason. i’d like to see peralta and Francisco gone after this year. neither one acts like they want to be out there. 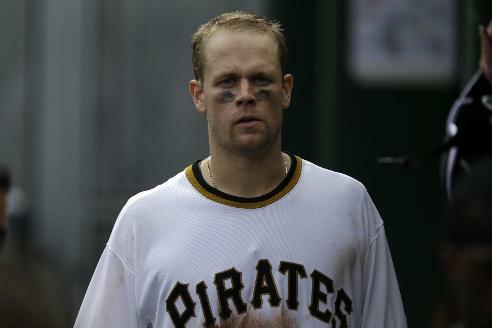 The Brewers should try and sign Morneau during the off season…he could get his #33 back.